Anubis is a hybrid feminized Marijuana strain of sweet flavor and high yield. It is ideal for growers who have little space available and want to yield a profit of their crops. Anubis is a hybrid feminized indica dominant (70%) Marijuana strain, the result of crossing between the strains Wembley and Somango having a sweet flavor and high yield. Pyramid Seeds did not want at first to share this specimen to anyone. Nonetheles and after much debate they decided remove it on the market for the joy of every Marijuana lovers. Anubis has a high relaxing effect inherited from the indica genetics, very well balanced between THC and CBD what makes the high to be smooth without killing you. The plant holds a delicious citric and grapefruit flavor inherited from Wembley and a high quality inherited from Somango reaching a moderate size (70-120cm and 100-180cm indoors and outdoors, respectively) of compact apperance growing more in width than in height. Its buds are so big that the plant will need our help to hold them. 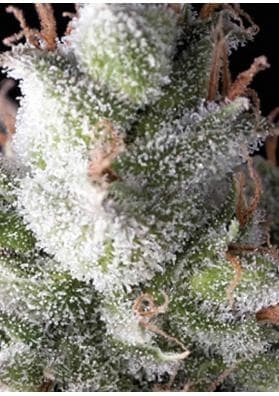 Anubis adapts very well to any enivronment being easy to grow and also ideal for those who wants strains of good yield. In a growing room and after 56-63 days in a growing room Anubis will be able to offer you outstanding productions of 600 grams per square meter. In the outside, the plant can grown to up to 1.80 meters high band will give yields ranging from 200 and 1200 grams per plant to be collected in September. In this way, this strain is an ideal choice for growers who have little space available and want to yield a profit of their crops.